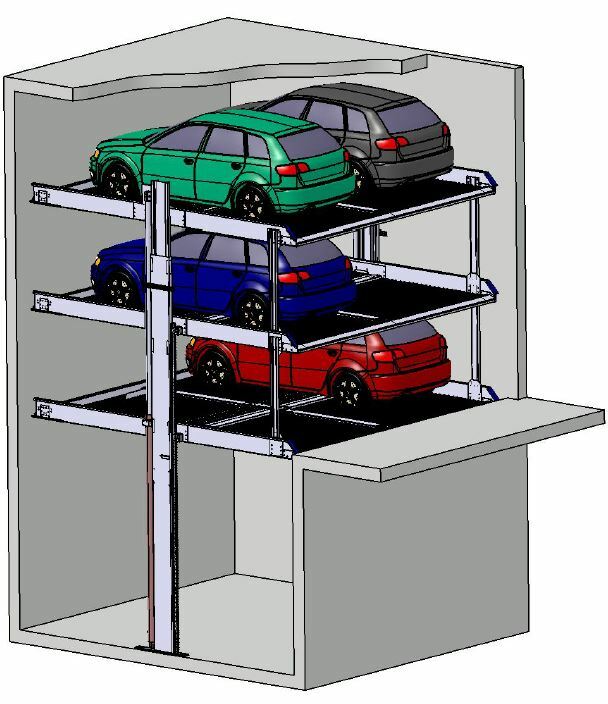 The Car Stacker S3 offers parking on three levels. Thus space bottlenecks are a thing of the past! 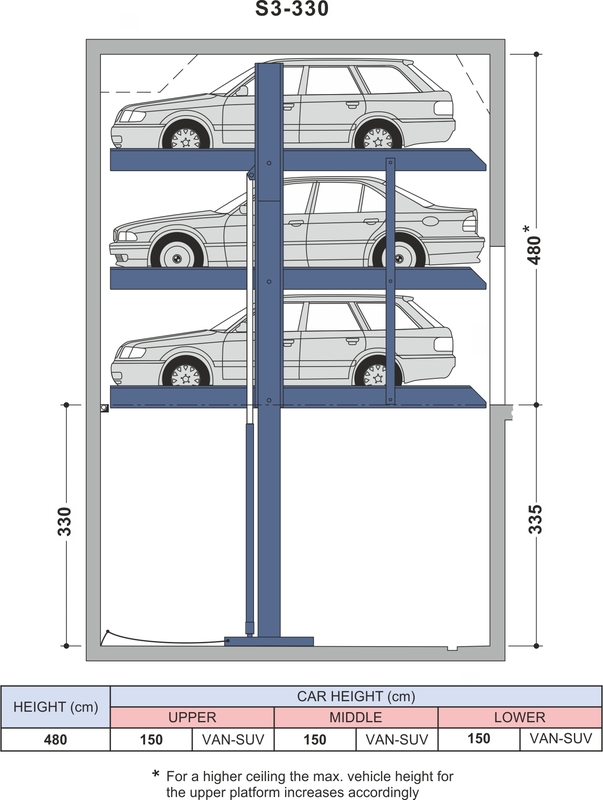 The system is available with single platforms (EB) for 3 vehicles and double platforms (DB) for 6 vehicles. 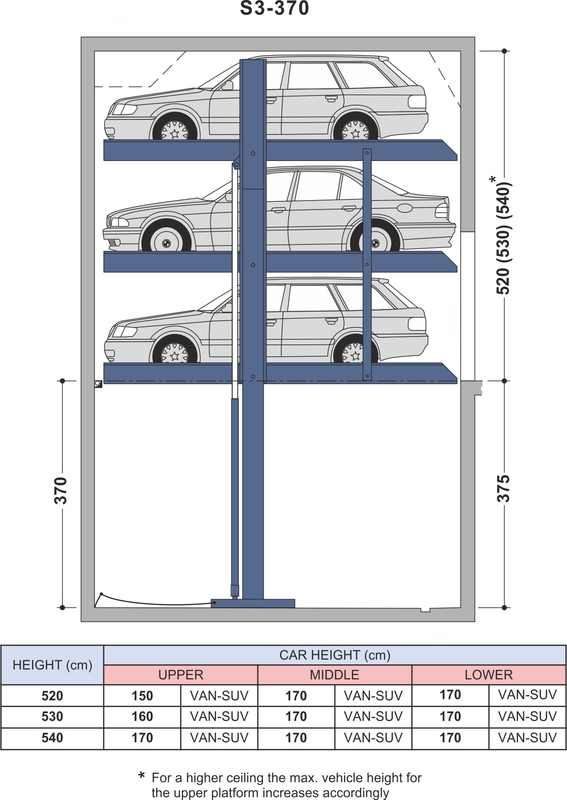 The S3 Stack Parker is not only comfortable, it also offers independent parking. Independent means in this case: the vehicle can also be accessed if another parking space is occupied!